Those of you that are spiritually conscious and have committed to ascension at this time was once commanded to pair up with your Twin Flame. During the course of meeting and connecting with the Twin Flame many Masculine and Feminine have experienced an abundance of heartache and self-doubt. They have been met with narcissistic, pessimistic, immature, emotional, inconsistent and inconsiderate behavior from a person that is supposed to be their perfect match and created with them as one. Many have questioned "Is this person right for me?" "Are they genuinely interested in me?" "Is she really this nice?" "Can I have a future with someone that doesn't seem vested?" "Do I behave that way?" When "Red Flags" appear and you won't question anything, you are actually betraying and overlooking your soul. Twin Flame masculines will say really harsh things and as their other-half you believe that withholding your opinion is teaching you "something," it is not teaching you anything but to be subservient and unsure of yourself. As the masculine, you may feel that she feels comfortable and it will feel like instant euphoria, but still you question, the feminines accommodating behavior. The union becomes rocky due to the feminines overly "emotional" behavior, which lends to your exhaustion, irritability, confusion and disregard. You continue to have doubt in the back of your mind and with that comes the running (ignoring) from the feminine. You learn to block out what you choose not to confront and disregard your soul. Masculine ask yourself, if you are really satisfied with the Feminine? Your doubt and maltreatment of the Feminine speaks volumes and says, no to her and the union. You innately know that your behavior isn't ideal and what you desire to be within a loving union. If you are successful in your Twin Flame union then it can be filled with altering your personality to please and accommodate someone you are to be with, for all eternity. Challenges also arise, when you take an interest in someone but are apprehensive due to being bound by a promise and commitment you made before you incarnated into the world as who you are now. Many Twin Flames are waiting for their other-half to leave a marriage, some are waiting for their other-half to move across the country and some are waiting for their other-half to "act" better. It was said that all Twin Flames must overcome barriers before union can take place and at that time they would ascend to 5-D. Ascension has been delayed because most of the Twin Flames are confused and in distress, many are still 4-D. They are concerned about coming into union with their other-half and this is where their focus remains. 5-D Ascension has moved to the background and this "broken love" with someone they have to fight with, for love and attention has taken dominance and has interfered with connecting with the soul. This ascension project has contributed to Masculine and Feminine becoming distracted and has stifled their ability to listen to their individual soul and create monumentally as well as effortlessly. No more Twin Flame........ it is now OVER, Heaven has commanded, STOP PURSUING THE UNION NOW..... LEAVE IT ALONE. 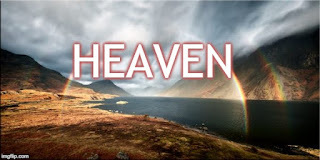 While in Heaven you wanted to ascend higher by taking on highly difficult lessons and experiences. 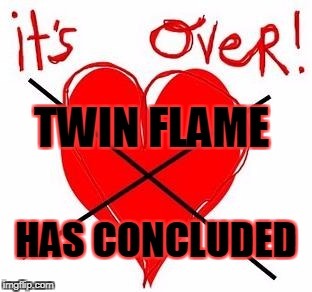 In consideration of all the detrimental consequences and injuries to the soul, Father God and the Hierarchy of Heaven have rescinded all Twin Flame obligations. The Twin Flame pairing no longer encourages rapid ascension and it has been observed by Spirit Guides and Guardian Angels that spiritual growth is delayed due to the soul of a Masculine and/or Feminine being altered to fit the "perfect match" union. The depth of consciousness can no longer be stifled and delayed because a soul is injured and in distress over an intimate relationship, set in place to ascend you at a rapid rate while in the world. The union is doing the opposite and both parties are overwhelmed with grief and consistently question if they are following their soul plan. Heaven has set a decree and you will not be penalized nor judged in your decision to walk away from the Twin Flame union. Although, their will no longer be any more Twin Flame, ALL are still responsible for ascending to 5-D but will receive lessons in an alternate way. Your commitment and effort have been acknowledged with the Twin Flame project. You all have done well, you remained steadfast, you believed even when it didn't look like it and now you have ascended to 4-D and will receive another spiritual gift while incarnated in the world. Obligate your time to YOUR soul. Meditate, analyze your dreams, connect with your respective Spirit Guide, Guardian Angels and Soul Family in Heaven for further instruction on how you should use your soul during this Ascension period. I RESCIND MY PLEDGE AND PROMISE TO FATHER GOD AND HEAVEN. I AM NO LONGER BOUND BY THE TWIN FLAME COMMITMENT AND I HAVE FULFILLED MY OBLIGATION TO THE HIERARCHY OF HEAVEN. I AM NOW FREE. 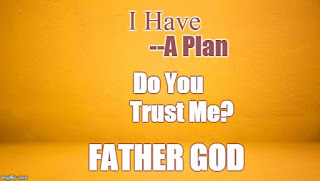 I MAKE THIS DECREE ON THIS DAY IN JESUS HOLY NAME.